Sundance Mazda offers low rates and flexible terms, regardless of your credit. Our financing experts have the perfect financing plan for you! 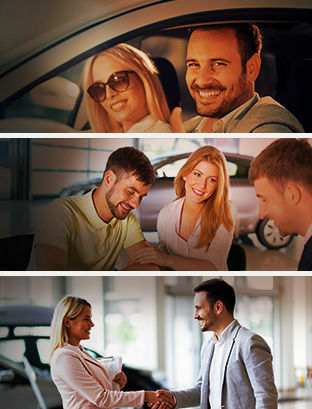 If you're looking for affordable and personalized Mazda financing in Greater Edmonton, and if you want a straightforward credit solution for your next purchase or lease of a new Mazda or pre-owned vehicle, look no further than Sundance Mazda! We work with several major financial institutions in the area and we can get you the best rates possible, no matter your financial situation. Even if your credit is less than stellar, we also have access to lenders who specialize in rebuilding credit. That way, you can get behind the wheel of your next new Mazda or pre-owned vehicle in no time! Simply fill out and submit our convenient and fully secure online credit application form, and one of our experts will get back to you to confirm your request and to obtain any additional information needed. For more information about our financing solutions, call us at 1-844-472-8052 or through our online contact form today! Our financing solutions are even more extensive than you can imagine. We also offer Islamic Financing, ensuring Sharia-compliant products and practice. As Islamic banking exists to further socio-economic goals with a view of lending with interest payments that shouldn't favour only the money lender, Islamic Financing can be more advantageous for the borrower in question. We are able to accommodate any situation and you can rest assured that our financial specialists will see to it that you have every possible scenario at your disposal.